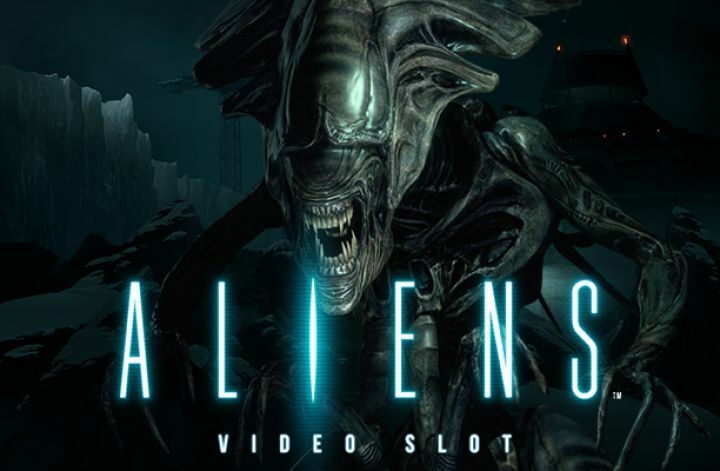 Aliens Slot game endowed with some incredible 3D animations. 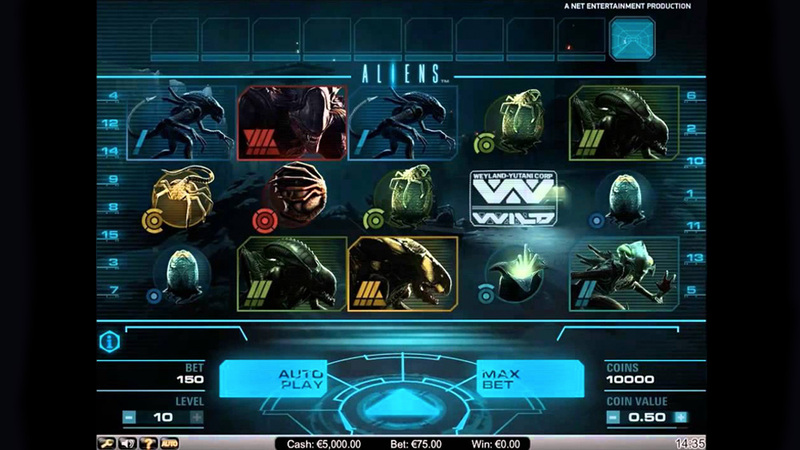 Aliens slot game has been designed by Net Entertainment, and produced in co-operation with 20th Century Fox. It is based on the popular 1986 movie, which was a sequel to the first 1979 movie that was a hit all over the world, and is still remembered. This slot game has five reels and fifteen pay lines, and can be played with a wide range of betting levels. The 3D graphics are considered brilliant, as you will view them from a Marine’s helmet camera, and the sound track is stimulating and well composed. The aim of Aliens is to search for any Alien activity, and get through any attacks to reach the Queen Hive, destroy it and also win some cash while doing it. Aliens is a five reel and fifteen fixed pay line game. It is a traditional slot game, with plenty of animation, which begins as soon as the bonus feature is activated. The atmosphere of Aliens is dark and mystic like the first two movies, but the action is fast paced. The symbols are also a weird collection of Alien Eggs and Monsters that you may recognise from the movie. The symbol with the lowest value is an unhatched Egg, and the most valuable is the fully grown Monster. There is only one special symbol, and that is the Weyland-Yutani Wild symbol. The bonus feature in Aliens is a three part arcade style game, and to trigger this feature you will have tom fill up the multiplier meter above the reels. Each win you get will fill up the meter by as many symbols that were in the winning combination, excluding any Wilds that were involved. Now you get to be the Marine walking through a dark passage while shooting Aliens. Each spin of the reels rewards you with a win that corresponds to the steps along the multiplier meter. After each spin the Marine shoots some of the Aliens, but there is a problem getting more ammunition. You should be getting some ammunition from the dead Marines on the floor, but that is becoming too difficult. If you run out before you reach the end of the multiplier, the game is over. If you make it to the end, you will reach the Hive. The next level will be two horizontal reels, one grenade strength reel and one grenade multiplier. At this point you will get five free spins, and with each spin a grenade will be thrown at the Hive. The greater the combination of grenade strength with the multiplier, the more you will damage the Hive. At the same time you will fire a gun with four ammunition clips, but when you have used that the game is over and you should go play bingo for money. You will try to destroy the Hive before you run out of ammunition. Aliens may not appeal to everyone, but the game is different from anything else, and the animation is certainly of an extremely high quality and is accompanied by realistic sound effects. Game play is smooth and seamless, and there are some huge payouts. This game is also available for play on any mobile device.